Speed up the removal of wastes and toxins and provide a major boost to your immune system. Lymphatic Therapy is designed to work with your circulatory system – an often overlooked, but vital component of optimal skin health. This organ system is responsible for removing waste via our lymphatics, and nourishing our cells and tissues via our blood supply. When our blood circulates around our body it provides nutrients such as amino acids, water and oxygen to our cells and tissues. 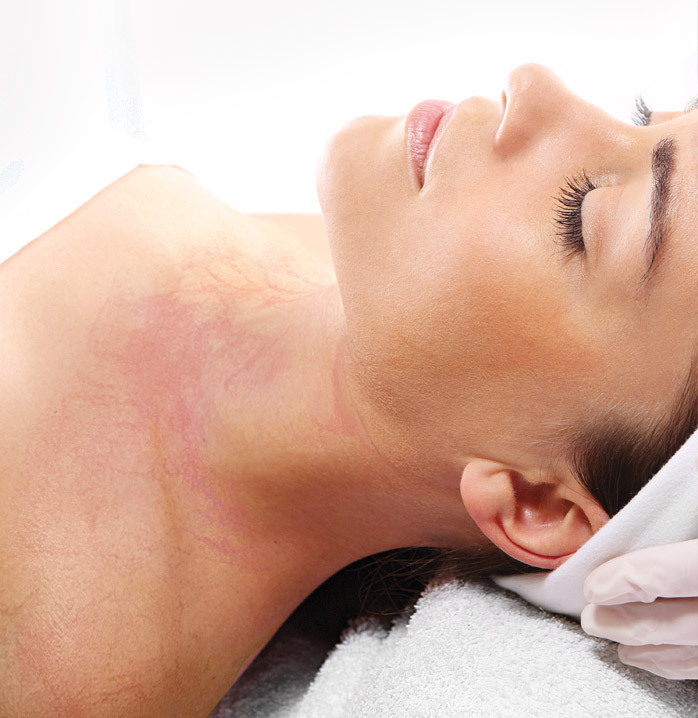 Lymphatic Therapy works by applying transient pressure to the skin to assist with activating these processes, creating a clean environment for cells to ﬂourish in and feeding the cells fresh oxygenated and nutrient rich blood. During the treatment you will feel pulsating around the chest, neck and face. During the 45 minutes the mask is left on the skin it will get increasingly tighter. The treatment is not painful, though the skin will feel very tight as the mask sets.